CFS Radio Program February 28th, 1999 Roger G. Mazlen, M.D. Host With Dr. Paul Cheney, M. D., Ph.D.
Dr. Mazlen: We are really honored today to have a very eminent guest with us today, Dr. Paul Cheney. Dr. Cheney is the founder/director of the Cheney Clinic which is located on Bald Head Island in North Carolina. He’s also prominent from the early beginning of research into Chronic Fatigue Syndrome or CFIDS. He’s a board certified internist. He additionally trained for two years in tumor immunology at the CDC and then became Chief of Medicine at the Mount Home Air force Base Hospital in Montana. Of course, from there there’s a long history of research and involvement and prominence in the field of research into Chronic Fatigue Syndrome, so I’m going ask Paul to tell us a little bit about how that started. Paul, welcome to the show and we’d like to hear from you now. Dr. Cheney: Yes, thank you, Roger. My introduction to this illness was as a practicing internist on the north shore of Lake Tahoe in 1985 when in the spring of that year we began to see an increasing, actually, an accelerating number of patients, peaking in the summer of ’85 and then decelerating quickly by the fall of ’85, producing about 200 cases in that small area of the California/Nevada line and the Sierra Nevada Mountains. Initially we thought there was some sort of flu-like illness among our patients who were previously quite healthy but over time they would not resolve the symptomatology and evolved slowly over time a triad of symptoms, characterized by debilitating fatigue, increasing cognitive disturbances affecting their ability to function cognitively, and then incredible pain, particularly muscle pain but also other kinds of accelerated pain. And that was the triad that we saw and these patients would not get well. And so we invited both the CDC and later Dr. Komaroff, then chief of medicine at Harvard who’d been seeing a large number of cases in Boston to come out and help us research this epidemic culminating in a publication in the Annals of Internal Medicine at about 1991 describing what we saw in that time. Dr. Mazlen: Well, of course, it’s history and most of the patients with Chronic Fatigue Syndrome are well aware of your work and Peterson and others in this area and we commend you for those early efforts, but you’ve gone a long way since. You’ve been very much involved nationally in the area of research into Chronic Fatigue Syndrome. You had mentioned to me a new concept as to what the disease is as it develops, when we had spoken prior to the show, maybe you would just like to go into that a little bit. Dr. Cheney: Yes, the syndrome we call Chronic Fatigue Syndrome probably belongs to a larger subset of disorders known as post-infectious or post-viral syndromes, at least in a hefty subset of patients, perhaps 60-70% who were perfectly healthy until one day they come down a flu-like or mono-like illness and aren’t the same thereafter. There’s a smaller subset that have more insidious onset and they represent a different type of illness, but the majority of patients appear to be a post-infectious or post-viral syndrome. In that regard, there’s another syndrome known as Reye’s Syndrome, which evolves typically in children, although it can hit adults as well, who come down with a viral illness, sometimes the flu, sometimes chicken pox, and are resolving the acute viral syndrome and then take a dramatic turn for the worse almost at the moment they’re getting better from the viral syndrome and the disease we call Reye’s is characterized by disturbed liver function in the aftermath of the viral infection, that then produces a severe toxicity that affects the central nervous system and frequently death ensues. And Chronic Fatigue Syndrome might be viewed as a sort of slowly developing Reye’s Syndrome in that they come down with a viral syndrome and then they emerge from that with a disorder in liver function and detoxification at the cellular level, we think involving glutathione but also other pathways, and that results in a progressive toxification systemically, particularly from the portal circulation similar to Reye’s and then a hit to the central nervous system, probably a zenobiotic toxicity to the deep brain structures that gives us the emerging picture of debilitating fatigue, cognitive disturbances, hypothalamic-pituitary-adrenal axis disturbances and severe pain. So, it’s sort of like a post-infectious slowly developing Reye’s Syndrome as an analogy to another more acute illness we call Reye’s Syndrome. Dr. Mazlen: Now, also, there’s a connection here which you make me aware of to the 37 kilodalton variant of the RNase L and I want you to do on and talk about that. Dr. Cheney: Right, well, that’s a really intriguing issue because no one really fully understands why liver detoxification fails in Reye’s Syndrome, but in Chronic Fatigue Syndrome there was discovered some years ago by Dr. Robert Suhadolnik that a very significant up regulation in an enzymatic pathway known as the 2-5A RNase L pathway was highly activated in Chronic Fatigue Syndrome. This particular pathway, although a potent antiviral pathway inhibiting viral protein synthesis and therefore viral replication, also inhibits human protein synthesis and enzyme production and could easily be the cause of this liver detox and cellular detox failure in this disorder that sets off this compounded set of problems. Dr. Suhadolnik, a few years after discovering this pathway was highly activated then discovered it was aberrantly activated with evidence of a low molecular weight, 37 kDA protein, kDA simply that as kilodalton, the size of the protein. The normal RNase L is 80 kilodaltons. This low molecular weight is only 37, slightly less than half the size. This could particular enzyme is extraordinarily active, over 6 times more active than normal RNase L and it resists proteolytic degradation and therefore lasts longer in the body and it can really cream protein synthesis and enzyme production and cellular function and from that human function. Dr. Mazlen: Apparently, it also uses up some of the precursors for glutathione production, is that correct? Dr. Cheney: Well, it certainly is a rapid cycling enzyme system that consumes ATP by the bucket load, kind of a black hole for ATP, as it were. So, it’s a consumer of energy, but most importantly, it impairs enzymatic production in virtually every enzyme in the body. It has a huge, huge effect on human function. Dr. Mazlen: So, this is one of the cornerstones, but on the other hand, it’s only been found in about 30-40% of Chronic Fatigue Syndrome cases. Dr. Cheney: Correct. That was kind of an interesting discovery because we were hopeful that it might be true marker for this disease, but it was not to be present in a large subset, but it was primarily present in the first 5 years of illness and at about 5 years or so, plus or minus, it begins to down regulate, such that by the 8th to 12th year of illness there’s virtually no 37 kDA left, yet the patients do not necessarily recover, although we think their illness shifts or changes as this 37 kDa down regulates. Dr. Mazlen: I want to ask you, Paul, if you can talk a little bit about your current research in Chronic Fatigue Syndrome? Dr. Cheney: Yes, of course we have a number of projects. One is of course collaborating with Dr. Suhadolnik regarding the 37 kDa protein and it’s meaning in this disorder, but a recent effort at this clinic has been–actually it’s the culmination of several years of looking at defects in detoxification pathways, in particular the glutathione system which appears to be particularly impaired in this syndrome and we tried treating this in a variety of ways, first, obviously with oral therapy with reduced l-glutathione and injectable glutathione and in a few cases with precursors to glutathione such as n-acetylcysteine and although we were seeing modest benefits, particularly pressure headaches, with reduced l-glutathione, we were not getting a huge clinical benefit overall and the glutathione system remained impaired as measured by endpoint markers such as liver peroxides in the urine. 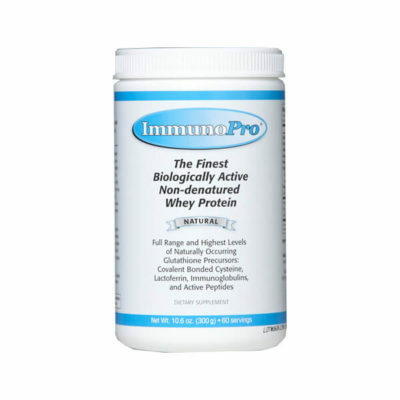 So we began to look out at other approaches that might work better and we became aware of a weakly hydrolyzed whey protein concentrate, marketed as Immunocal™ (he is now using ImmunoPro®) but in fact a whey protein concentrate that’s weakly hydrolyzed and that appears to be important in it’s effectiveness. 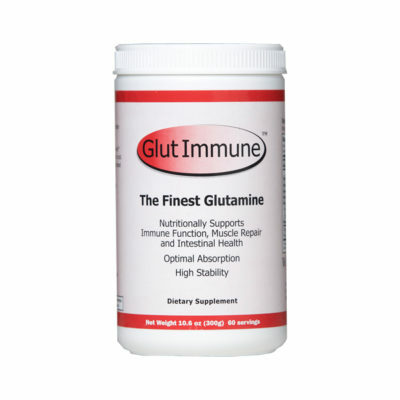 We read about this product and were interested in its potential for improving the glutathione system and from there wondering if it would help this disease. So, we launched a program about 6 months ago testing the efficacy of this in CFIDS and we are, at this point, analyzing the data and pleasantly surprised at what we’re seeing. Dr. Mazlen: So, you’re getting some positive results then? Dr. Cheney: Yes, we are and we do think, however, there’s a subset of patients that appear not to respond to this product. There’s a larger subset that appears to respond clinically. Some interesting and unexpected results were seen in the study but overall I think it was a positive clinical response and other interesting facets of this product making us a lot more interested and perhaps more aggressive in treating this glutathione defect with these kinds of products. Dr. Mazlen: Now, this is a small study so I presume that you feel at this point it warrant expansion into larger trials. I think so. Dr. Cheney: We only have 7 patients which isn’t a large number, but there was a very consistent response in several areas suggesting that 7 is almost enough to make some observations about it, but I think from a scientific standpoint we’ll need more studies and larger numbers. Dr. Mazlen: Well, it’s exciting because anything that’s helps this population of people who reign from moderate to severely ill or totally disabled is certainly a welcome advent to the therapeutic armamentarium for us, primary care physicians and researchers. I want to take one quick call on the line from Jeeney, then we’ll go on with other things. Jeeney, welcome to the show. Do you have a quick question? Jeeney: My question today is about ampligen. I’ve been hearing so many mixed reviews. After you had your study and the people stopped taking the ampligen, what was that result? Dr. Cheney: Well, there are several things I think that are important to note about ampligen. First, of all, there’s no doubt in my mind as I’ve seen it in clinical practice that this drug is bioactive in this syndrome. That is it can help people sometimes substantially. However, it does not help everyone. And it may be that the reason–there may be a couple of different reasons–one reason may be that no everyone has activation of this RNase L pathway which ampligen appears to be very potent at regulating, in CFIDS at least, downregulating. If that pathway is not activated, then ampligen may not be very rational or even effective. Ampligen also has potent antiviral properties as well and I think some of these patients may not have a significant viral activation state which may be another reason why it doesn’t work in everyone. The other parallel issue for ampligen is that it appears that the longer that you take it, if you are responding to it, the better the outcome and in the initial study in 1991-92 we essentially only treated for 6 months in most cases, a year at most and that may have been a relative under treatment and so when you’re under treated with ampligen, even if you’re a responder you tend to degrade very quickly when you stop and conversely, when the drug is treated for longer periods of time a better clinical therapeutic plateau is reached, there appears to be some stability at maintaining a plateau once the drug is stopped. So, I think it’s kind of uncertain in my own mind exactly what will happen when you stop this drug. My sense is that if it’s stopped prematurely, one will end up pretty much back where you were. If it’s maintained over a longer period of time, there’s a much better chance of stability. If you are a responder, the chances of a response, all comers, appears to be 2 chances in 3 and that might be raised a little bit if one targets a subset of patients, specifically ones that are within the first 5 years of their illness who have abrupt onset and who may have activation of this RNase L pathway. Dr. Mazlen: You mentioned earlier, briefly to me, not on the show, but privately, that there’s a significant incidence of chlamydia pneumoniae found in CFIDS patients. Can you comment further on that? Dr. Cheney: Yes, of course this syndrome has sort of a long history of viral and, more recently, non-viral microbial activation reported as associated with this disorder. For the listening audience, it’s important to distinguish between association of an organism versus causality, and that’s a thing critically important in this syndrome. This syndrome may represent an immune activation state and with the disordered glutathione system which can create a sort of biological terrain in which microorganisms that lay dormant in our bodies almost back from childhood can activate and then other organisms that we may catch during our lives, and these organisms are not typically active, but are kept in a dormant state by our immune systems indicates that in CFS the conditions are ripe at times for the reactivation of these dormant and latent organisms. One of these organisms which is ubiquitous in the population but typically not active is chlamydia pneumoniae, which has been reported as active in a large percentage of these cases. Dr. Mazlen: Well, that’s a significant addition because they still have trouble with a lot of infectious disease specialists in dealing with Chronic Fatigue Syndrome. Many of them don’t feel it has anything significant if they just show a positive Epstein Barr viral capsid antibody, IgG, etc. I want you, Paul, to give me your email address for the audience. Dr. Cheney: Yes, the email address is [email protected], we have a website which is www.fnmedcenter.com. We have a caller on the line, let’s go to Caroline. Caroline, do you have a question? Caroline: I actually have two. One is that College Pharmacy is selling a generic Immunocal and I wanted to know whether Dr. Cheney thinks that is as good or if he’s familiar with it and the second is that if you have the test for the RNase L marker for ampligen and you don’t have that activated pathway, are you definitely not a good candidate for ampligen? Dr. Cheney: Very good questions. 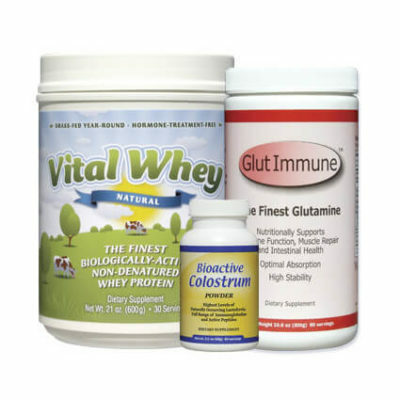 Regarding generic type products of a whey protein concentrate, we do know from the patent application involving Immunocal™ that in comparison with the typical whey protein concentrates, the Immunocal™ product is far superior in it’s ability to improve glutathione status. With regard to other generic products that might be available however, I can’t comment. I haven’t looked at them. Theoretically, in my view it would be possible to make a generic that would work, I just don’t know if a particular generic will work and that would have to be looked at carefully. With regard to RNase L itself, if it’s not activated doesn’t exclude, in my opinion, a response to ampligen, but rather reduces the chance somewhat, I don’t know how much, but I think there are people that definitely responded to ampligen to did not have activation of this pathway because ampligen may do more than just modulate this enzyme pathway. It has other effects.